Big Data is both a concept and a field that corresponds to all techniques or methodologies for analyzing extremely large amounts of data that cannot be processed by traditional data-processing software due to their volume and complexity. Its purpose is to extract or mine value from large data sets by revealing and understanding patterns, trends, and associations. Developments in digital communication, including progress in wireless communication technologies, have highlighted the importance of Big Data. After all, the digital information age has resulted in the generation of large amounts of data of varied forms as individuals and societies become more dependent on the use of technologies such as mobile communication, smart devices, the Internet, online services, and social media, among others. The primary advantage of Big Data centers on the need to analyze and systematically extract valuable information from large data sets to promote informed decision-making. Hence, from this advantage comes more specific advantages and applications for organizations, including business organizations and non-profit organizations such as government agencies. For business organizations, one advantage of Big Data is that it enables them to understand their customers or target market, particularly their behaviors and preferences. Doing so allow them to provide better products or services, develop new products in consideration of trends in the market, predict consumption patterns and behaviors to provide appropriate marketing responses, and provide better customer experience such as the inclusion of value-added services and after-sales services. 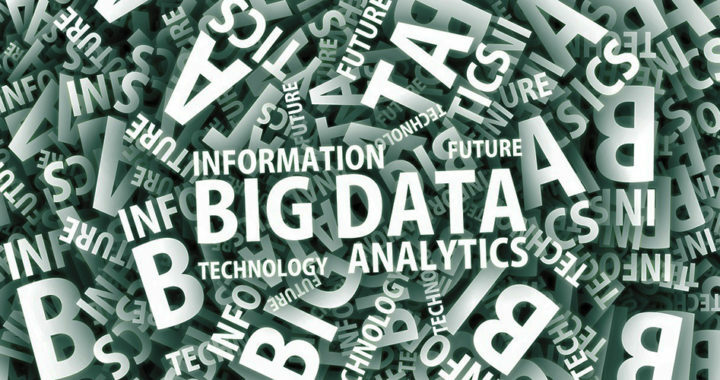 Big Data can be essentially considered as a source of competitive for business organizations. Aside from being able to understand and target customers better, analyzing large data sets can lead to the optimization and improvement in specific facets of operations. For example, retailers can mine Big Data to reveal patterns in production and consumption, as well as in order fulfillment performances to improve the supply chain, promote better inventory management, and optimize distribution channels. Another advantage of Big Data involves its critical application in advancing artificial intelligence, particularly in advancing specific fields of AI. For example, machine learning depends on training data extracted from Big Data to learn from outcomes without being explicitly programmed. Natural language processing requires the collection and analysis of structured and unstructured audio data such as languages and dialects, vocabularies, grammar and syntax, and speech patterns to enable human-computer interaction using natural language instead of computer language. It is safe to say that digital communication and Big Data have now become intertwined. Google depends on the analysis of large chunks of web and user data to power its Google Search services. The same is true for Facebook and Twitter that use data analytics on a massive scale to deliver targeted contents and advertisements. Companies such as Amazon, as well as Netflix regularly crunch data obtained from their customers to improve service delivery, as well as implement a personalized user experience. Nevertheless, the relevance of Big Data on online-enabled businesses stems from the fact the more people are becoming dependent on digital communications. Hence, these businesses are utilizing the data generated by these online users to maintain their competitive advantage. Remember that the application of Big Data does not rest alone on businesses. Government agencies have been using methodologies in processing large data sets as part of efforts to promote safety and security, such as in the case of predictive policing, as well as in maintaining national security through signals intelligence. In scientific research, Big Data expedites the process of data analytics, particularly for continuous experiments such as in the case of particle experiments at CERN. Take note that medical researchers are now looking at patient data and genetic information to discover and develop new therapies, as well as under diseases better. Despite the advantages or beneficial applications of Big Data, it comes with drawbacks or disadvantages, as well as challenges that can make its implementation risky or difficult for some organizations. These issues need to be solved to reap better the benefits that come with mining large sets of data. One of the notable disadvantages of Big Data centers on emerging concerns over privacy and security. Even large business organizations such as Yahoo and Facebook have figured in numerous instances of data breach. With data privacy laws becoming more stringent as exemplified by new policies such as the General Data Protection Regulation or GDPR of the European Union, organizations seeking to develop and maintain Big Data capabilities also need to invest on protocols, processes, and infrastructure aimed at protecting data and mitigating security risks. Big Data requires both processing capabilities and technical proficiency. In other words, for an organization to have the capacity to mine large volumes of data, they need to invest in information technology infrastructure composed of large databases, processors with adequate computing power, and other IT capabilities. Furthermore, they need to have a certain degree of competency that would allow them to address more specific issues such as data storage and transportation, database management, data access and sharing, quality and validity assurance, and scalability of the infrastructure, among others. Note that these challenges and requirements necessitate substantial investment. Another problem with Big Data is the persistence of concerns over its actual value for organizations. As mentioned, resolving the challenges and responding to the requirements of its implementation involve investment. Not all organizations can afford these costs. Large organizations can easily develop Big Data capabilities, thus putting their smaller counterparts at a disadvantage. It appears that due to the costs, as well as the drawbacks and risks of Big Data, its advantageous applications only benefit large organizations, especially established businesses, while expanding further the competitive gap between them and smaller organizations.